Recovery Related Services for Substance Abuse and Mental Health Service Prescott Arizona. 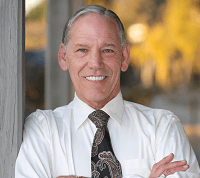 Sober Living Prescott Arizona Inpatient Rehab Programs with a primary focus on . Specializing in Prescott Arizona area. Welcome To First Step Recovery Sober Living Center First Step offers Transitional Living with several intensive treatment components for about 1/3rd the cost of traditional treatment. We also offer sober housing after treatment is completed. Both programs offer in house supervision. Be the first to POST a comment for Sober Living Prescott Arizona!